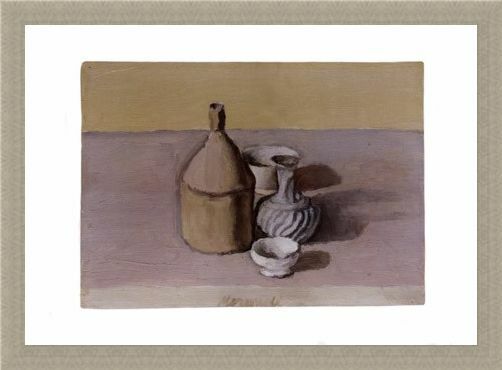 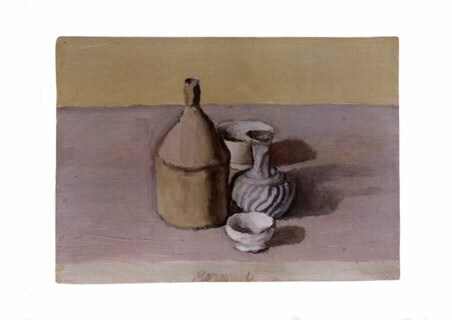 Art Mini Print: As one of the most admired Italian painters of the 20th century, Giorgio Morandi was famous for his still life studies of grouped ceramic objects in subtle shades of neutral colours. 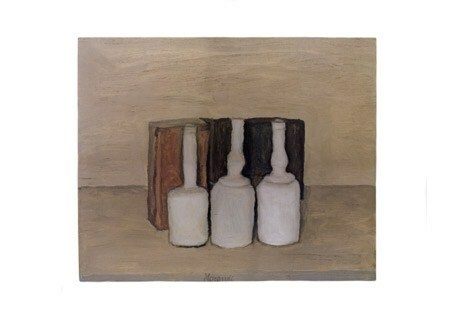 He showed exceptional sensitivity to the colour and tone of the painting as well as the final composition of the piece. 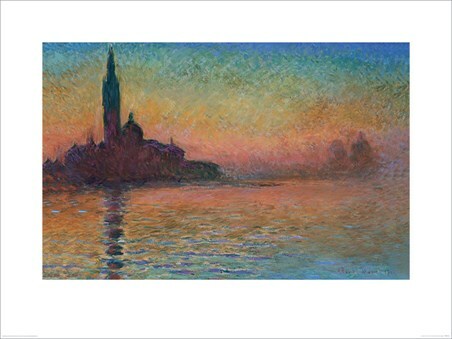 He was famous for saying 'Nothing is more abstract than reality' and this quote is painted into his artwork and when you look closely you can really see what he is talking about. These ceramic pots may look conventional, but what is conventional and what is not? This print is a must have for anyone who is looking to explore the abstractions in reality and it will radiate a subtle brilliant wherever you hang it. High quality, framed Flagon, Giorgio Morandi mini poster with a bespoke frame by our custom framing service.